So… Again I’m back to the problem I have with French verbs. And knowing me, some of you do, I am not good at stuff I don’t learn fast and my study technology is by doing, not reading and for sure not study on my own using on-line platforms. With that said, let’s turn back to the reason for this blog post. I have nothing to “hang” up the French verbs on and what I learned yesterday, gone today. It’s unbelievable!!! But looking at my language learning history. I had three really bad grades in school, math, Swedish grammar and English. You can say that from school start up until the family moved from Norrköping to Stockholm Swedish and English went fast downhill, from the top of the mountain to the ground rapidly. English, kind of saved by the use of pen friends. Yes you youth born after 1975, back then we had penfriends. Both domestic and abroad. The Facebook and Instagram before Internet. Also thanks to the fact that nothing on TV in Sweden are dubbed (besides children shows). Back to French verbs then and my brains way of complicate things. Let’s take an example, the verb être… To be or in Swedish vara. Je être, Tu être, Il/elle ètre, nous être, vous être and so on. In Swedish Jag är, Du är, han/hon är, vi är, ni är… only är, är, är. If this was French, I might have nailed it 100%. 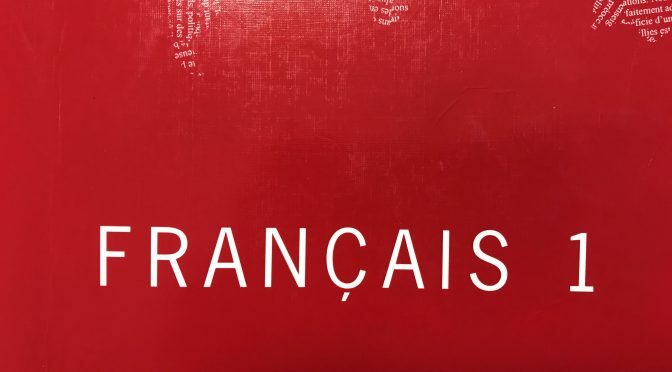 But even if the verb is être in french it goes je suis, tu es, il/elle est, nous sommes and vous êtes. And that’s a easy one, verb by verb it change like this and I have no idea how to get this into my mind and make it stay. In class just rattling verb by verb it’s fine but in daily life my brain goes: “Oh, I need to say “I am Björn”, hmmmm, I am, is to be, vara in Swedish, so jag är, I am, verb être, it’s not Je être Björn it’s… yes I go for suis”. All that activity takes time and in daily life not an option and since être is the easy one, please, just add all the other verbs. I kind of give up every time… Je suis stupid, d’accord. Then add the past and future and all the La and Le together with using the correct a, au, e, en, on, une… And my brain turn into a nuclear melt down. And still I have not found the, for me, best way of learning this. Again, I have nothing to “hang” the French on to make it stick.